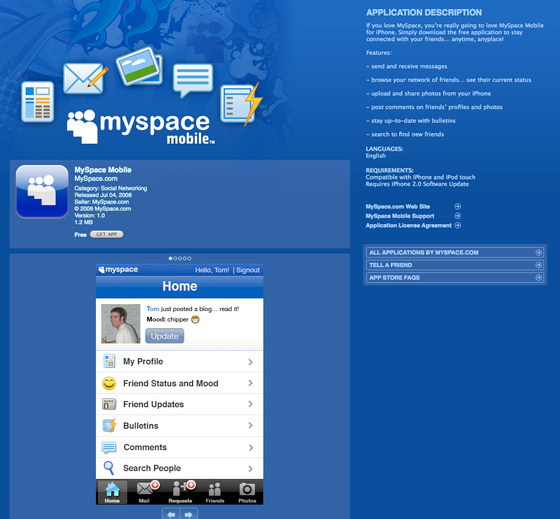 Update: The iPhone 2.0 software is now available. 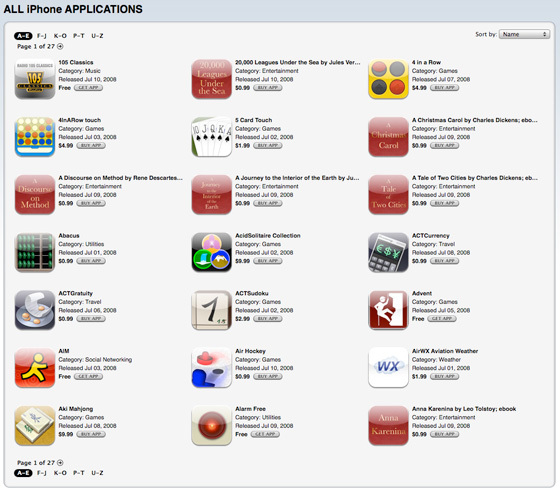 Update 2: Top apps by number of downloads is here. 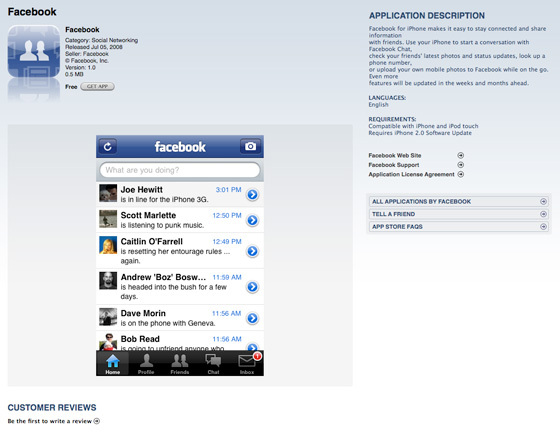 Apple’s iPhone App Store is now live, several hours ahead of its rumored 9 am PST launch. To access it, download iTunes 7.7 here. Once iTunes has upgraded, you can access the App Store here. You can “get apps” on iTunes now, but you’ll need the iPhone 2.0 software to actually use them on the iPhone, which isn’t yet available. There are 27 pages of applications currently available. We’ve updating our directory with the more interesting applications now. At first glance, there are very few non-English applications. Another interesting trend – a lot of books are listed as applications, most for $0.99 (I just bought Heart of Darkness, for example). 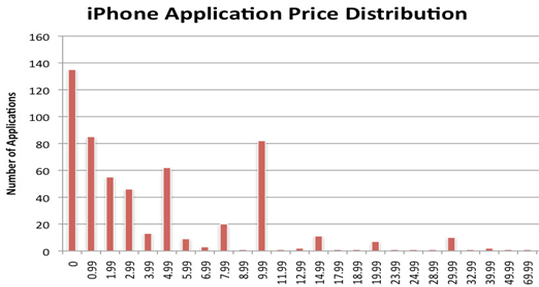 According to Pinch Media, the App Store had 552 applications at launch. 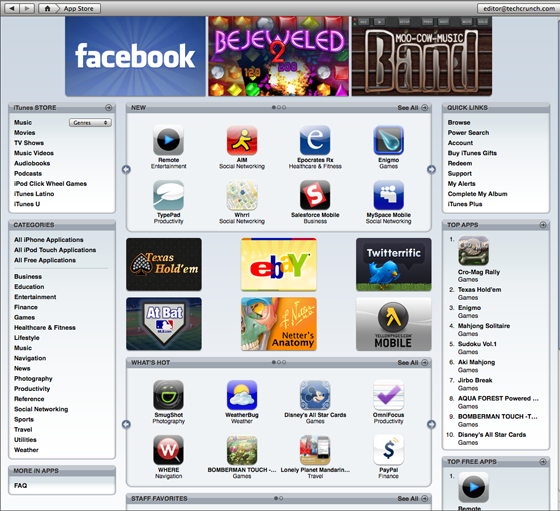 135 of these apps are free, while the remaining 417 range in price from $0.99 to $69.99, with the vast majority ranging between $0.99 and $9.99.